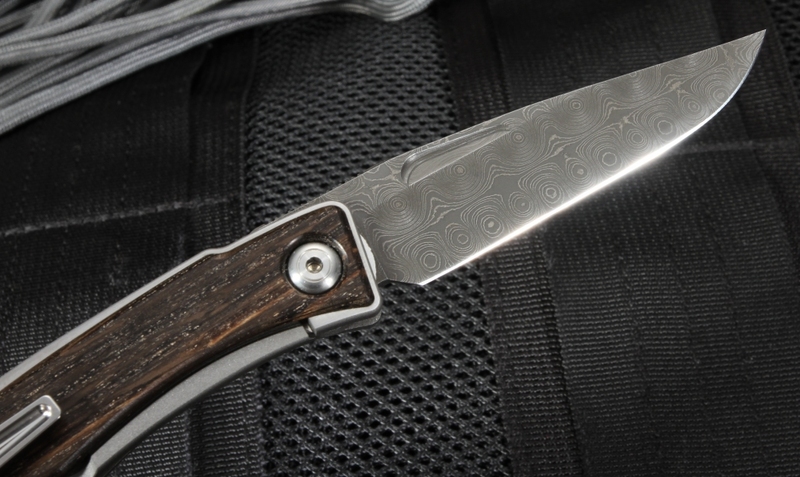 Chris Reeve's Mnandi Damascus Folding Knives combine style and elegance with the function and quality expected of Chris Reeve knives. The Mnandi knife series represents a more "dressed up" version of the traditional folding pocket knife, excellent for adding a sleek, sophisticated tool to your pocket, tie, or purse. 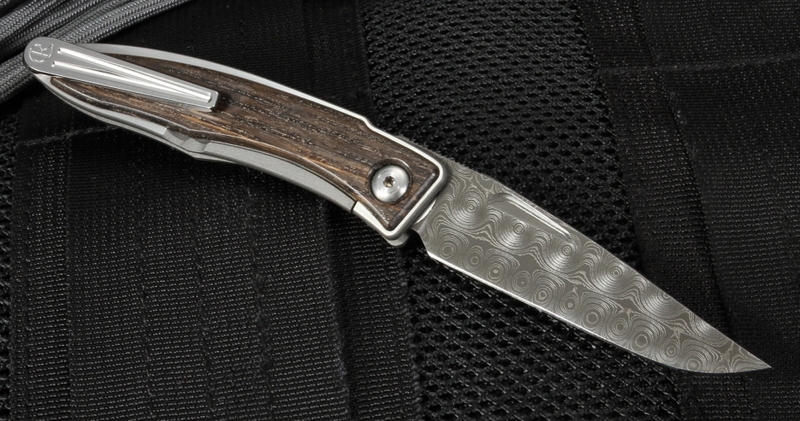 Chris Reeve's Mnandi Damascus folding knives feature a beautiful 2.75-inch stainless Damascus steel blade, accented with an interesting and elegant raindrop pattern. Crafted with precision in the US, the unique and aesthetically-pleasing raindrop Damascus blade is one you will love to show off. The Bog Oak embellishments of both the front and back of the Mnandi Damascus folding knife's handle give the knife more style and elegance, making it the perfect knife for carrying to the office, the bar, or to dinner. Bog Oak is a very rare, extremely dark (nearly black) hardwood retrieved from ancient bogs with infused tannins and minerals. Chris Reeve's Integral Lock system provides the Mnandi Damascus folding knife a locking mechanism that's stronger and sturdier than traditional liner locks. 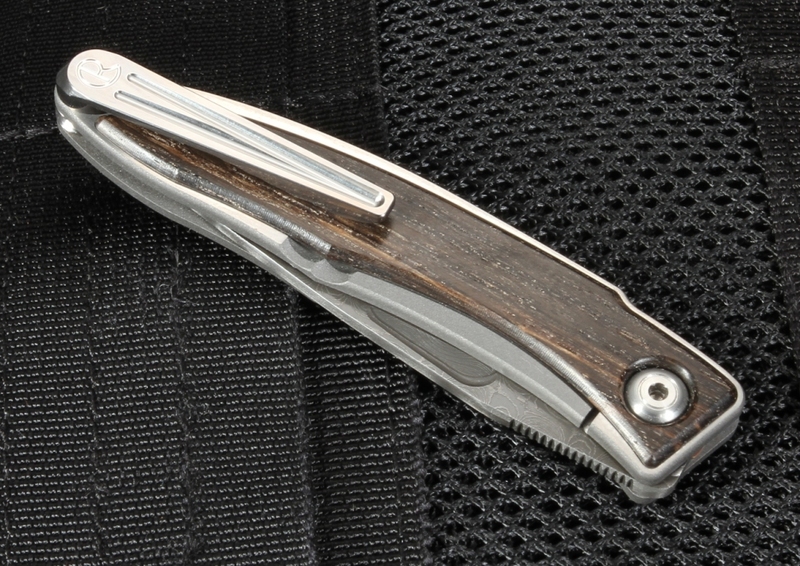 Complete with a sleek, machined 6Al4V titanium clip, the Mnandi Damascus will add class to any pocket or tie. Because of its extremely light weight of only 1.5 ounces, the Mnandi Damascus folding knife can be tucked into a pants pocket or waistband, a purse, alongside pens in a shirt or coat pocket, or clipped on a tie easily, comfortably, and stylishly. 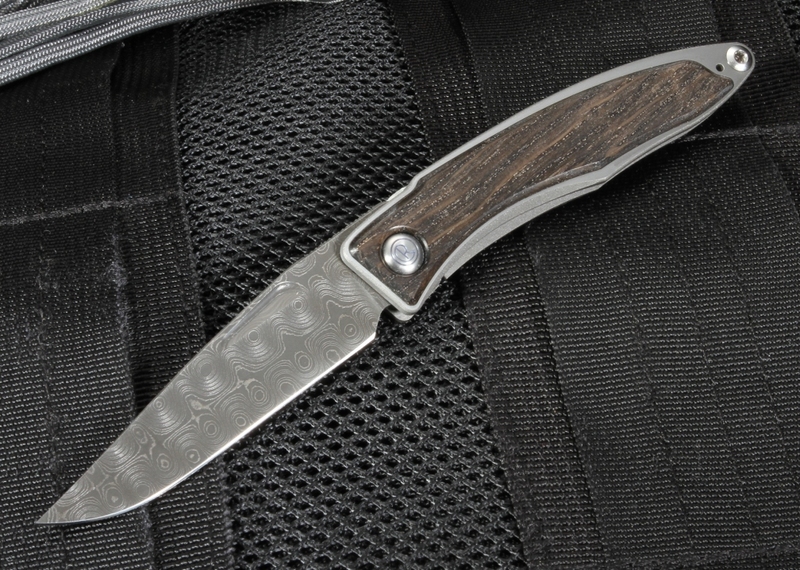 The Mnandi Damascus folding knife also comes equipped with an elegant protective leather slip case for pocket carry. Chris Reeve was born and raised in South Africa and has been designing and manufacturing knives since 1984. The Mnandi Damascus folding knife is built with the same precision and quality that earned Reeve an induction into the Cutlery Hall of Fame in 2015. Chris Reeve knives are backed by a worldwide reputation for design, quality, and customer service. KnifeArt.com is an authorized Chris Reeve dealer. 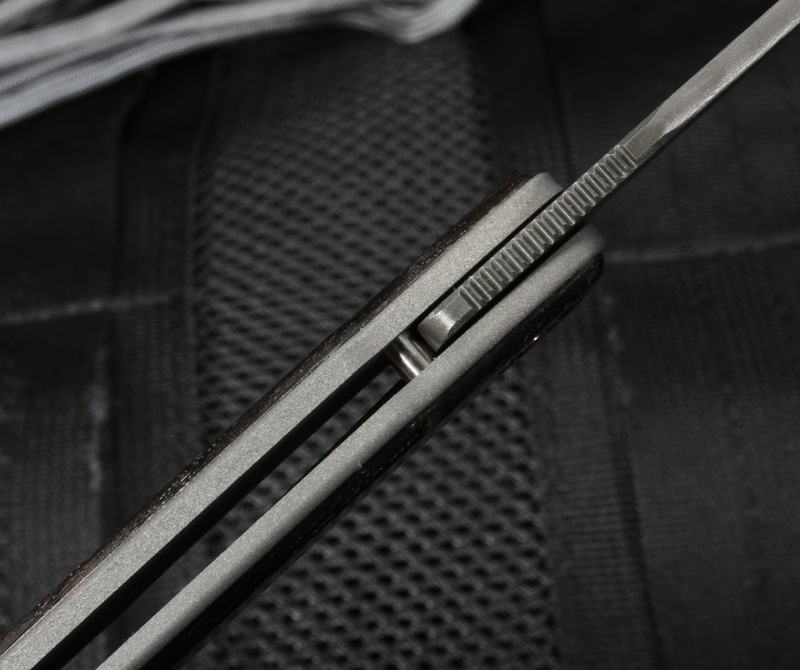 We offer free same business day shipping, easy exchanges, and an inventory stocked with the finest quality knives and tactical gear. Beautiful knife! Very sharp with the polish of sophistication. Thank you KnifeArt for the prompt delivery.